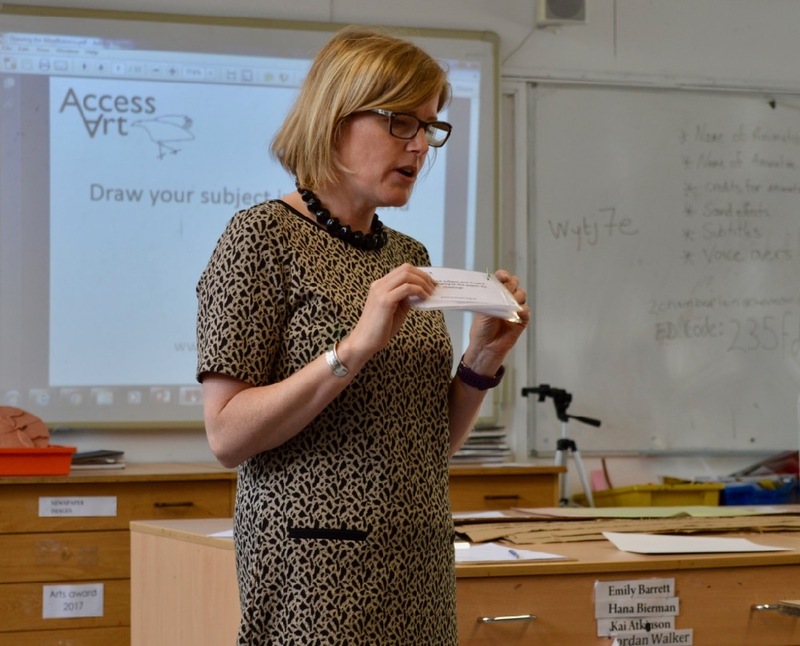 In the summer term last year, I was invited by Morgain Murray Williams, head of Art at Chesterton Community College, Cambridge, to help plan the art component of a wellbeing day for all the students at the school. Though the school had no budget for external agencies to lead sessions, and being the end of the school year, materials in the store cupboards were scarce, there was a recognition by management, and staff, that delivering strategies for students to increase wellbeing and mental health needed to be prioritised. 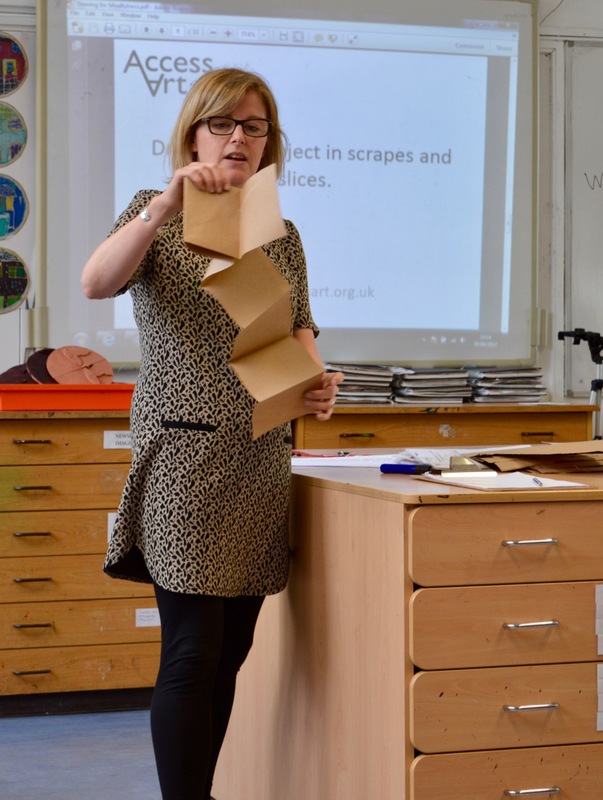 Teachers were determined and highly motivated to deliver a useful, meaningful and uplifting day for the students. 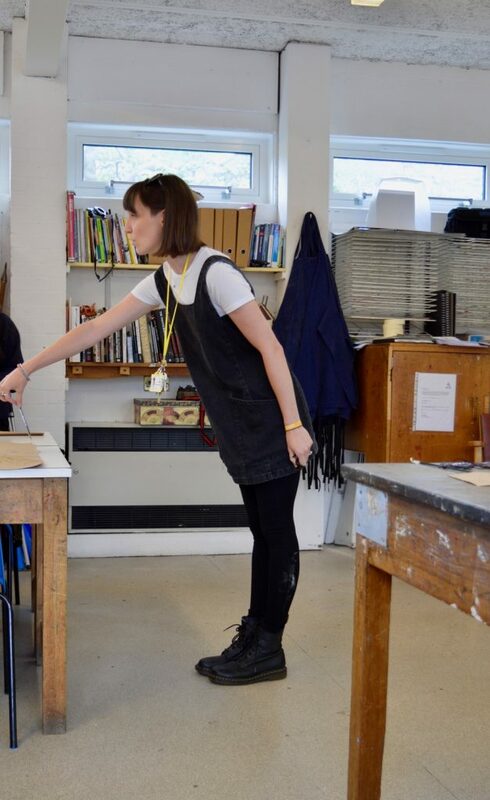 The key emphasis, when planning the day, was that the sessions should not be delivered like measured, and curriculum based art lessons, but as a WHOLE school experience, with a shift in emphasis from art being for ‘talented’ artists, towards it being a tool for ALL students to engage with to increase wellbeing. The first challenge was to break down preconceived ideas about drawing and change perceptions about what it is and who it is for. In this instance, drawing had to be re-branded, re-packaged and re-delivered, as a tool for seeing and being in the here and now. 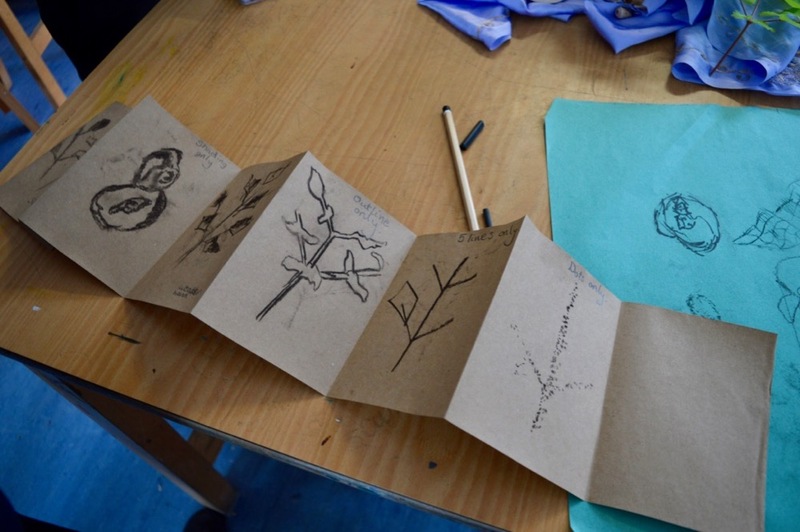 Drawing was to be delivered as a discipline not hungry for fixed, measured outcomes, but one seeking open ended and fluid experiences in the present – powerful, mediative and reflective. Three outstanding teachers delivered three ‘Drawing for Mindfulness’ sessions, back to back over the course of a whole day. 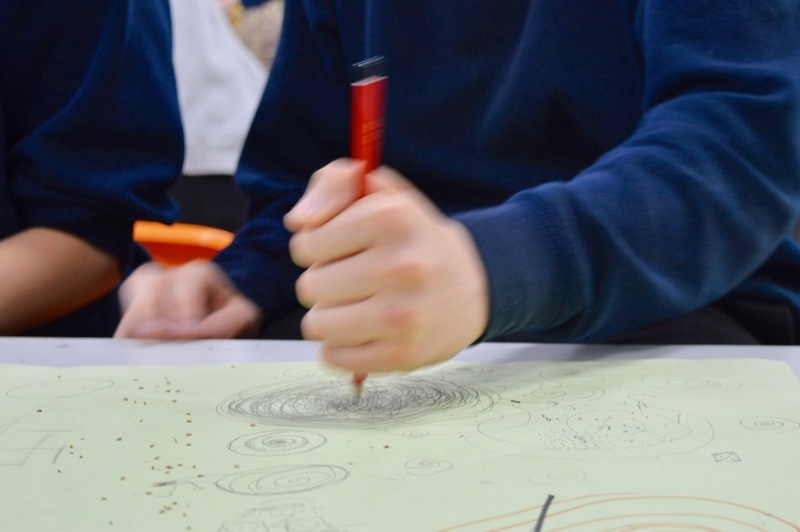 By the end of Wellbeing Day, over three hundred students had been tutored on how to draw ‘in the here and now’, and were given strategies on how they might use drawing as a vehicle for wellbeing. 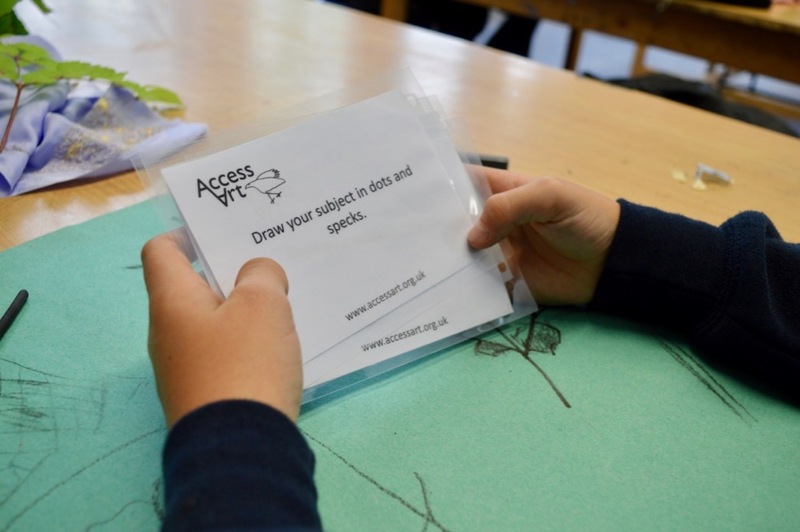 Teachers led guided drawing exercises using AccessArt Drawing for Mindfulness Prompt Cards. 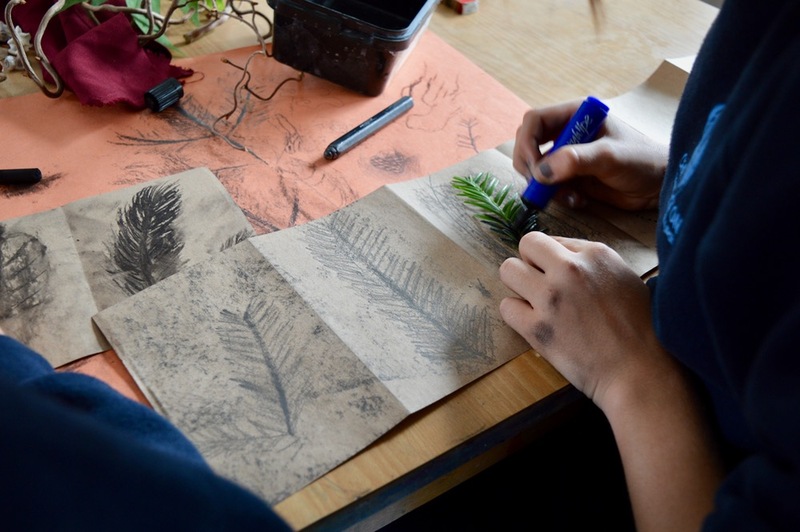 They set up their classroom tables with natural objects including shells and leaves, and an array of drawing materials for the students to explore. 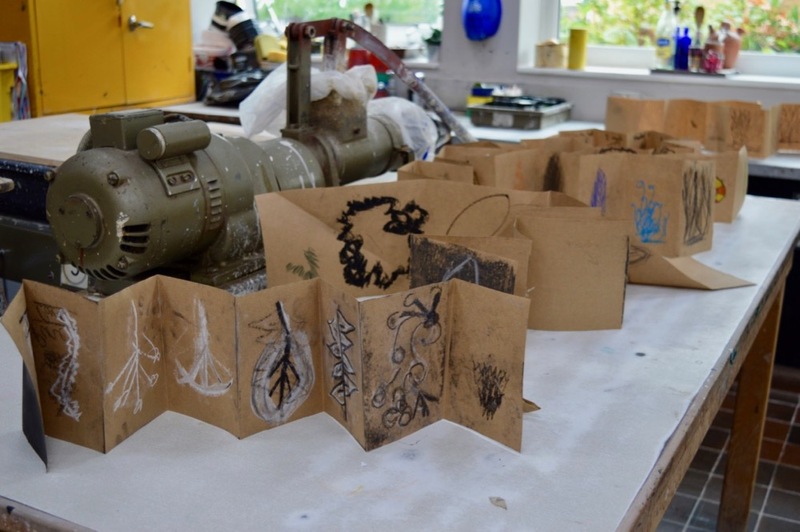 AccessArt Drawing for Mindfulness Prompt Cards were used to get over the white page and gain confidence in drawing processes. 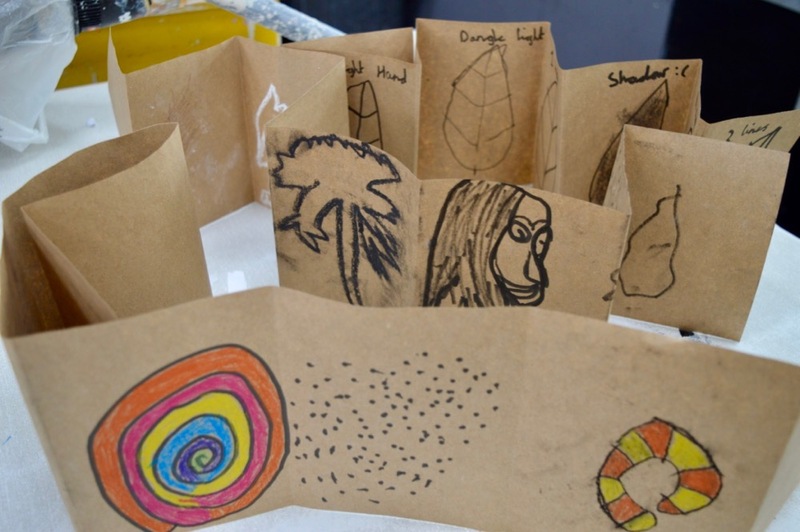 They were presented as tools for wellbeing and the exploration of drawing and mark making in the context of BEING in the present. Look and draw your subject in the time it takes to inhale and exhale one breath. Draw your subject with your non-dominant hand. Hold your pencil or pen lightly from the top (with all five fingers) and dangle it over the paper drawing your subject. 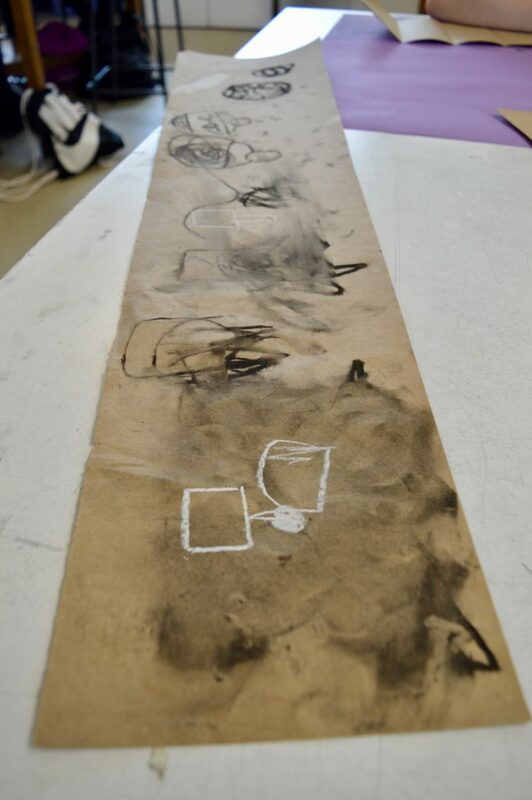 Draw your chosen subject in a continuous line without taking your pencil or pen off of the paper. Draw your chosen subject in five lines. Draw your chosen subject in three lines. Look at your subject and draw it without looking at the paper. No cheating! 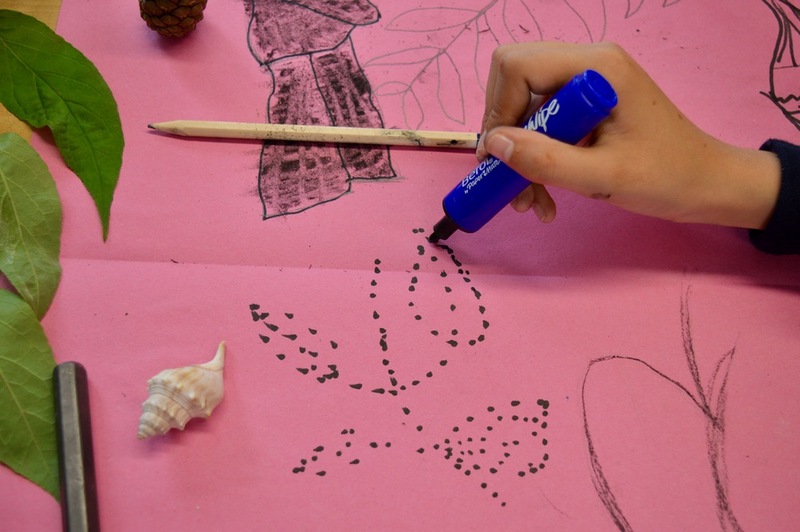 Draw your subject in dots and specks. Draw your subject in scrapes and slices. Draw the outline of your subject in one, strong gesture. Draw your subject without blinking. Draw your subject from inside out with no outline or contour at all (use only shading). 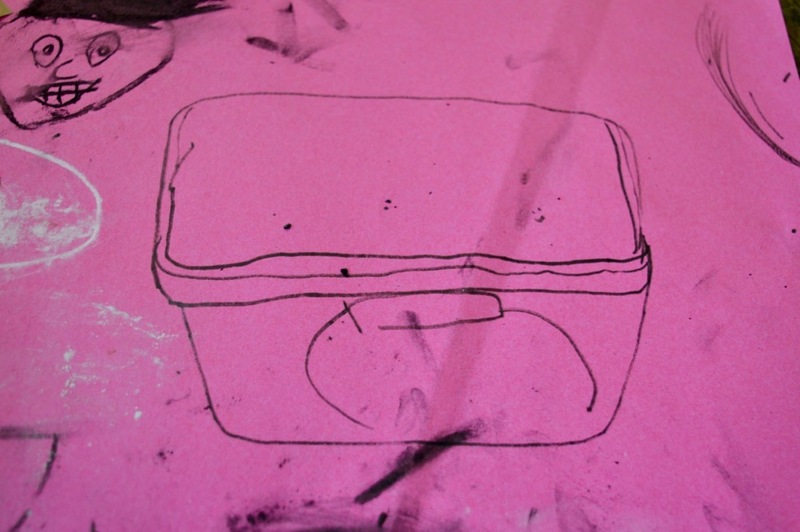 The drawing prompts often refer to a ‘subject’. The subject is the object in front of you that you are drawing. The subject can either be natural or man-made. It can be in a room or out in nature. 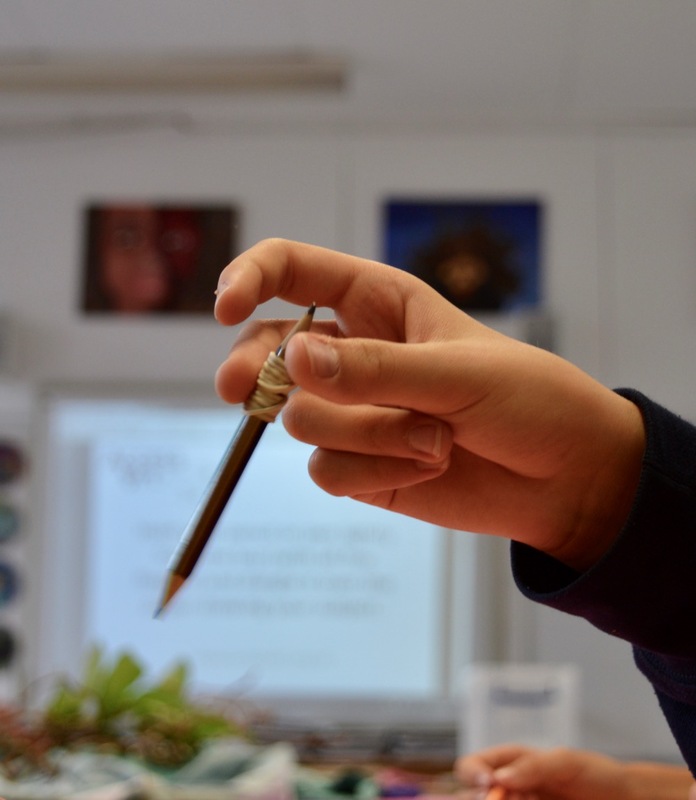 In the context of Chesterton’s Wellbeing Day, teachers set up the room with natural objects for the students to study. 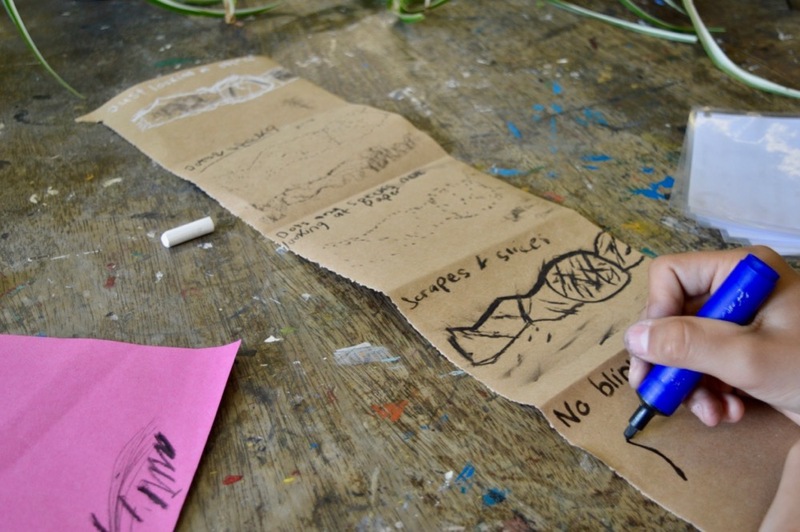 Prompt cards were used to look and draw in a facilitated way. 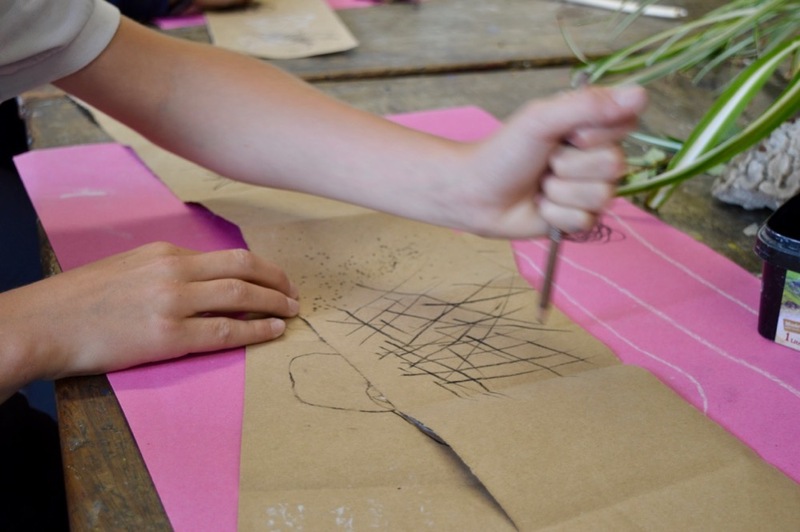 In the context of ‘drawing for mindfulness’, drawing is looking, studying and BEING with the ‘subject’. 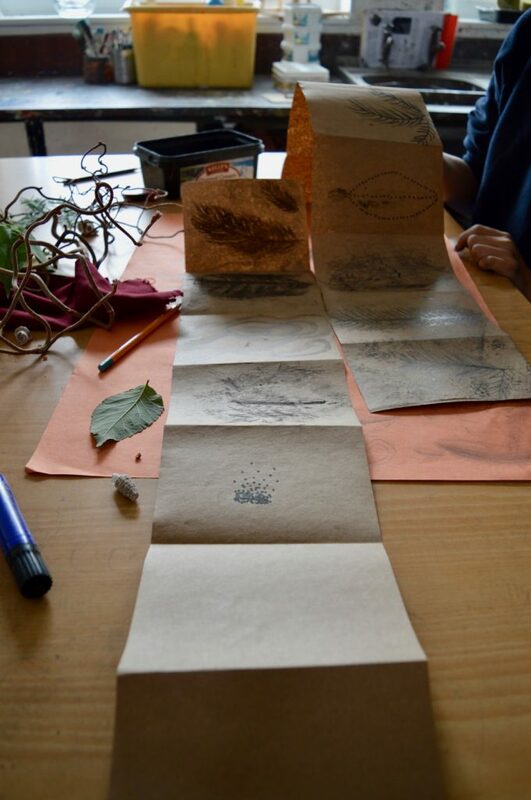 Teachers had available many drawing mediums and surfaces for students to intuitively explore. 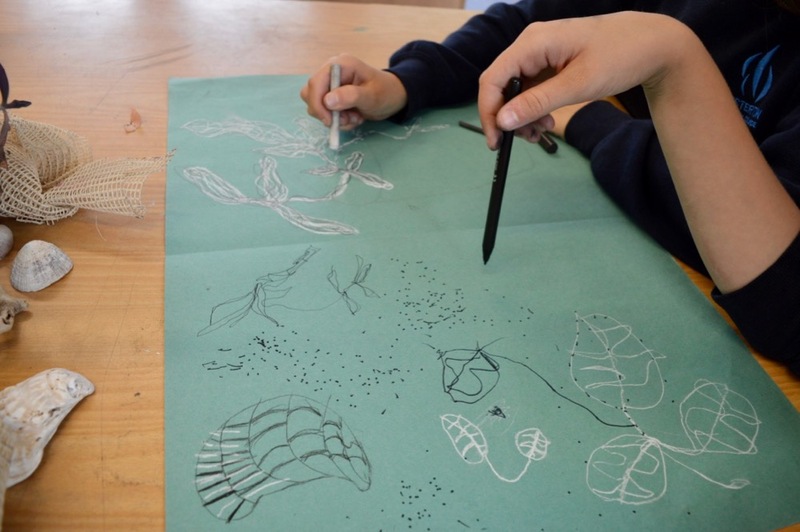 In the final part of each session, students were encouraged to work from prompts independently and create a series of drawings in a “zigzag” sketchbook. 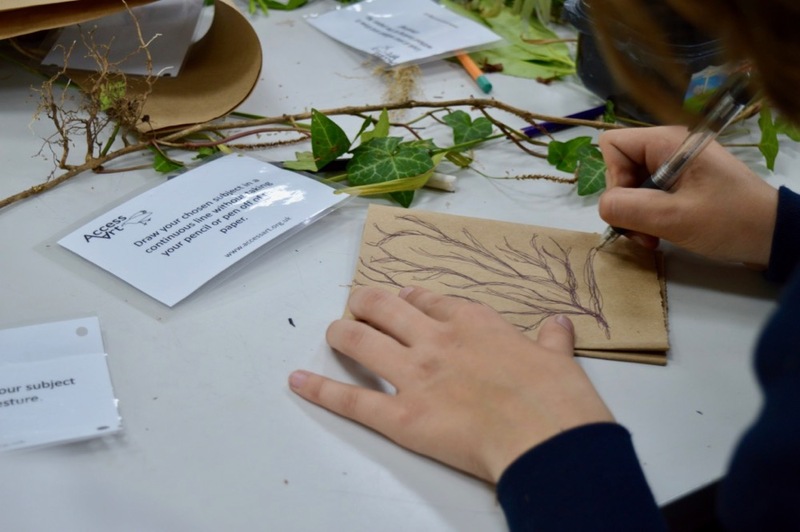 Here students were given a chance to take OWNERSHIP of the ideas and processes presented, so that they might be used beyond the classroom walls. 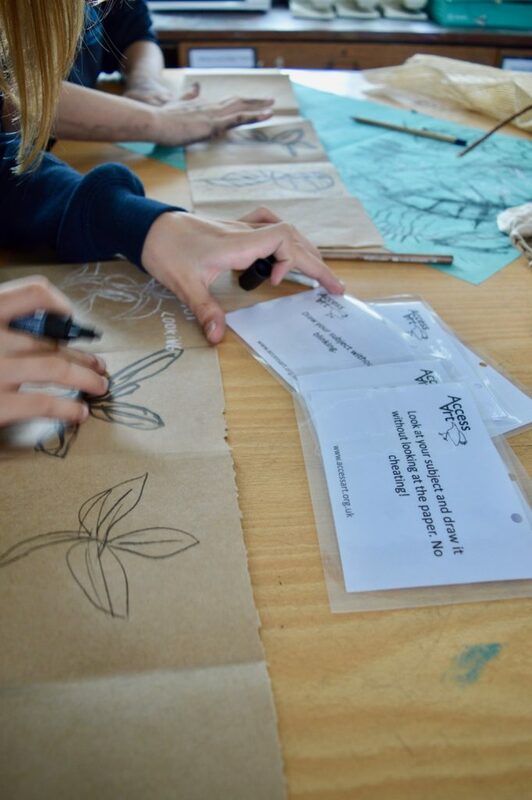 Ultimately the aim of the day was to empower students to feel confident and entitled to their own creativity and understand that creativity can be a catalyst for change, reflection and wellbeing. 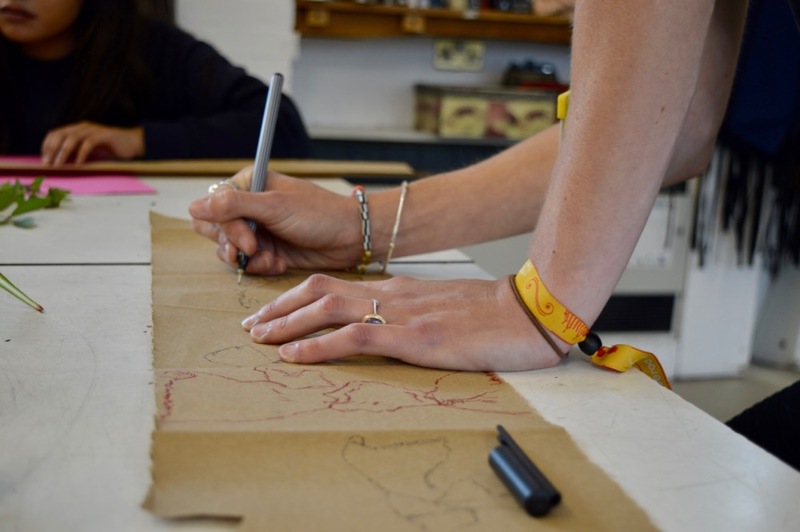 Many thanks to the many students at Chesterton Community College, who shared their creative process with AccessArt and allowed me to photograph the sessions. 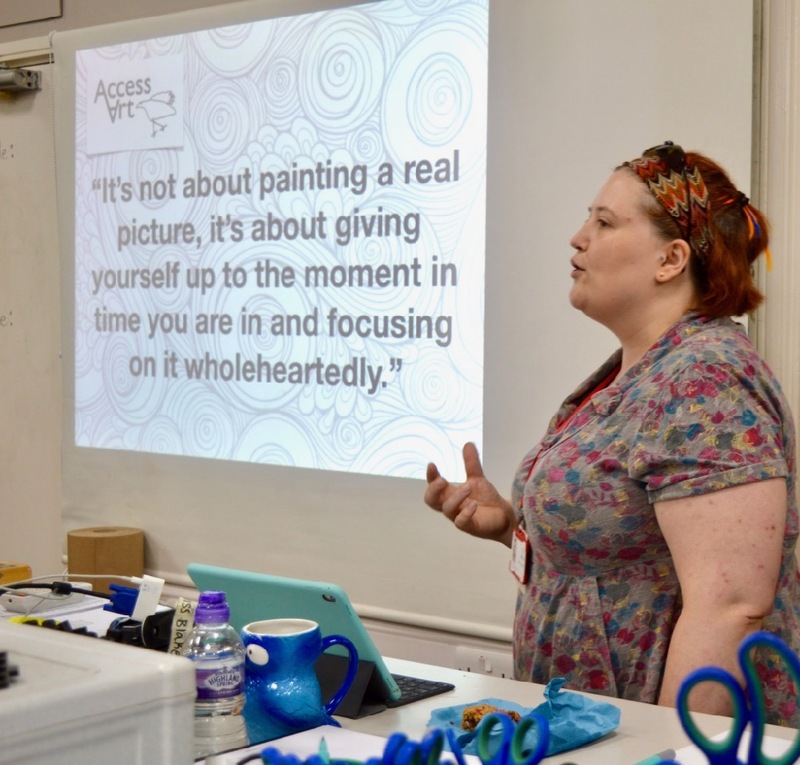 A huge thank you to Morgain Murray Williams for inviting AccessArt to help with the school’s Wellbeing Day, and many thanks to Morgain, Lucy Blake and Rebecca Gardner for leading such inspiring and enriching sessions. 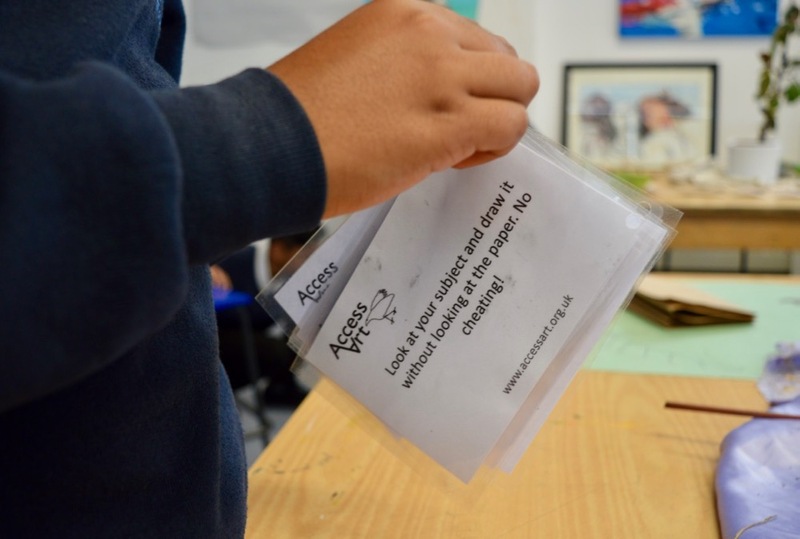 Please feel free to use AccessArt’s Drawing for Mindfulness Prompt Cards which can be downloaded by following the link. See more Creative Entitlement and Wellbeing posts by following the link. This is amazing! Incredible that the whole school was involved. It can’t be stressed highly enough the importance of implementing strategies such as this to help students increase their wellbeing and mental health. 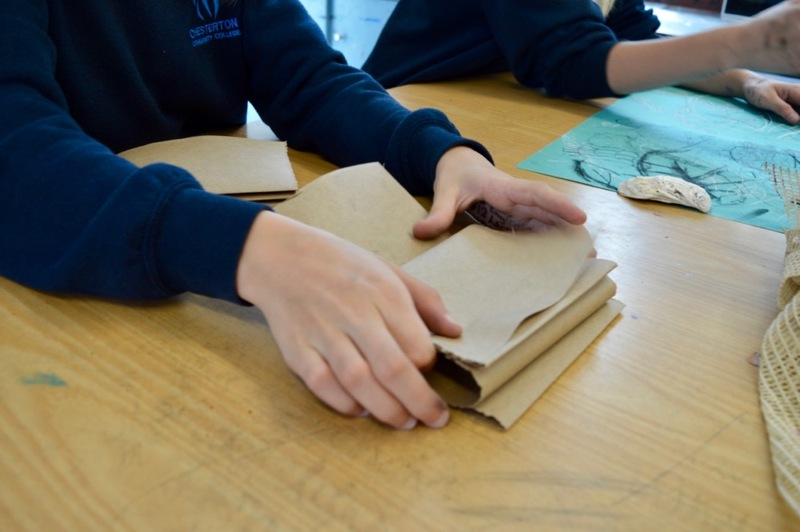 This type of fun, creative, mindful, wellbeing day should be run as a regular event during the school year, to give students a welcome break from the target-driven normal curriculum and re-engage with the here and now. All schools should have this! 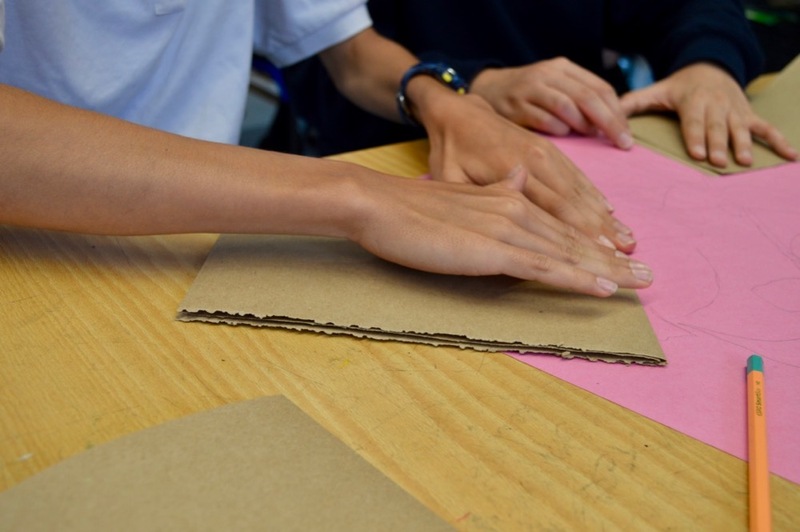 with young students that may or would find the blank page an intimidating hurdle. 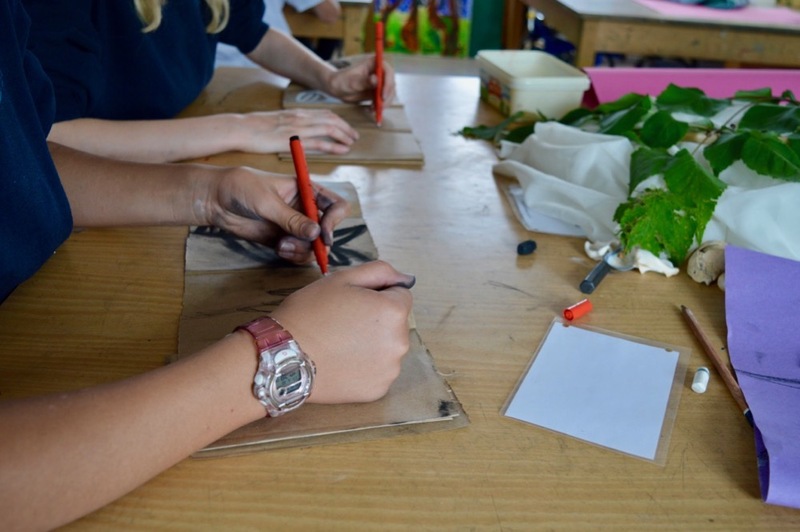 Long fraught accumulated teaching experience producing something that looks so simple and effective. 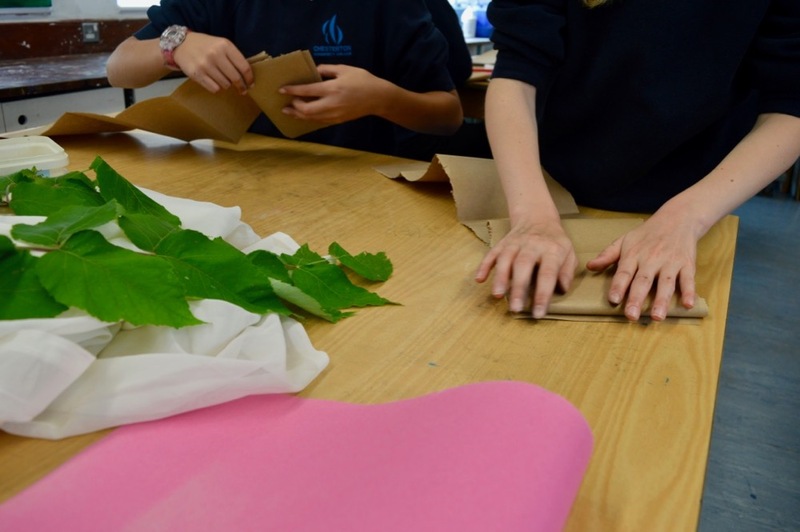 This wonderful project is a timely reminder of the power of the arts in the curriculum,and the importance of creative expression for the well being of all pupils. Congratulations to all concerned…inspiring work !